WHO’LL STOP THE RAIN? : Under cloudy skies, the Dodgers held their third full-squad workout of the spring today, with hitters once again taking live batting practice, this time from pitchers Clayton Kershaw (who was taken deep by Juan Uribe), Brandon League, David Huff, Chris Hatcher, Ryan Buchter, Joe Wieland and Daniel Coulombe. Zack Greinke and Brandon McCarthy also threw bullpens today. 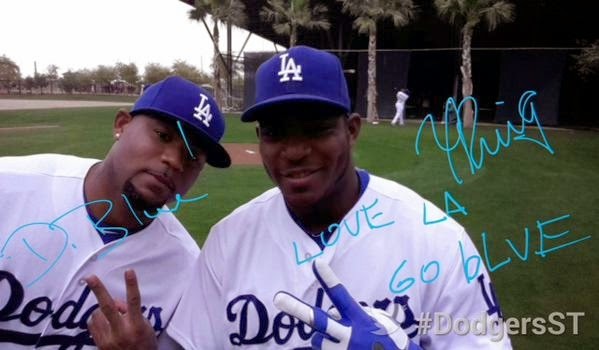 Kershaw: "I’m going to have to hear about Uribe hitting a home run off me all season. I’m glad I gave him some confidence for the year." The Dodgers are still four days away from their first Cactus League game, March 4 against the White Sox, whereas last year at this time, the club had already played two contests. 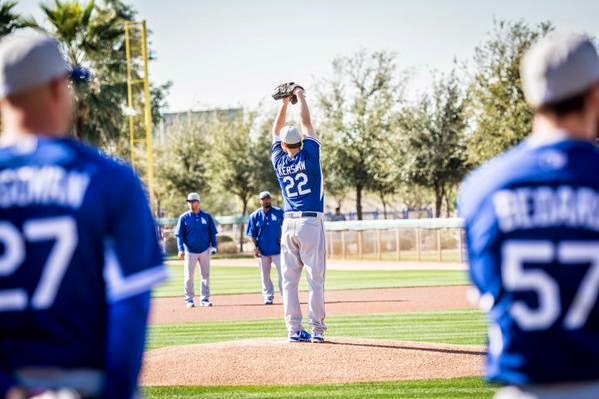 THROWN INTO THE FIRE: Dodger Manager Don Mattingly announced today that left-hander Erik Bedard would start the Dodgers’ first Cactus League game on Wednesday, March 4 vs. the White Sox at Camelback Ranch- Glendale. Bedard and the rest of the Dodger starters are scheduled for 2.0 innings their first time around. During his morning media session, Mattingly also conformed there would be no intrasquad game this year. BACK ON TRACK: Dodger starter Hyun-Jin Ryu, who was down with mid-back tightness, played catch yesterday and is scheduled to throw a bullpen on Monday. Right-handed reliever Joel Peralta, who is dealing with some shoulder soreness, is slated to throw his first bullpen of the spring on Monday. 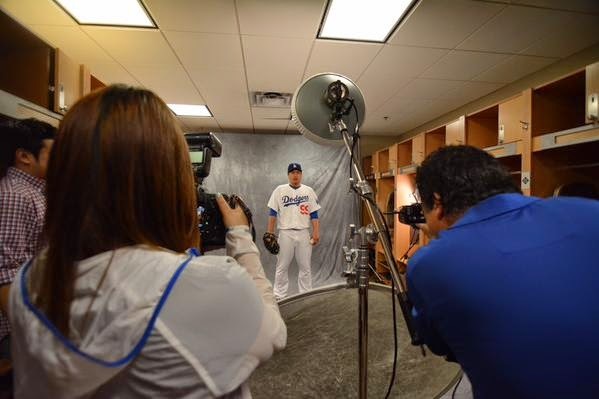 SAY CHEESE: The Dodgers held their annual Photo Day this morning, with players showing off their pearly whites for the Dodger team photographers, SNLA, MLB Photos, MLB.com, MLB International, ESPN the Magazine, Topps, USA Today, Getty Images, Baseball Digest and the Associated Press. SUNDAY CONVERSATION(S): Tomorrow, rain or shine, ESPN’s SportsCenter will broadcast live from Camelback Ranch – Glendale, featuring interviews with Dodger President of Baseball Operations Andrew Freidman, Clayton Kershaw, Jimmy Rollins, Don Mattingly and more. Former big leaguer Mark Mulder, SportsCenter anchor Sara Walsh and Tim Kurkjian will helm the network’s coverage. SIGN HERE, PLEASE: During the past two days, Dodger players have signed hundreds of bats, balls, photos and jerseys, primarily for the Los Angeles Dodgers Foundation. On Thursday April 16, the Dodgers will attend the Los Angeles Dodgers Foundation’s inaugural Blue Diamond Gala honoring the Jackie Robinson Foundation, The Los Angeles Fund for Public Education and the LA84 Foundation. The Gala will take place at Dodger Stadium and features a cocktail reception in center field, dinner, awards, a Ted Baker London fashion show featuring Dodger players and a performance by Aloe Blacc. For tickets and information on the Blue Diamond Gala sponsorships, please visit www.dodgers.com/gala. CELEBRATE GOOD TIMES: Many news elements at Camelback Ranch will continue to be unveiled this spring, including a life-sized Tommy Lasorda bobblehead, a new scoreboard on the Dodger replica field, All-Star panels on the legends walk, a LA logo sculpture and large, autographed baseballs paying tribute to the club’s MVPs. In addition, the stadium at Camelback Ranch will showcase the retired numbers of Pee Wee Reese, Lasorda, Duke Snider, Jim Gilliam, Don Sutton, Walter Alston, Sandy Koufax, Roy Campanella, Jackie Robinson and Don Drysdale in left field.